Becoming a Church that Cares Well for the Abused is a training experience designed to equip the church on how to respond well to the initial report of abuse. 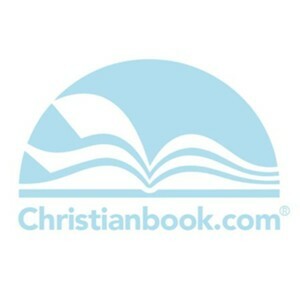 Working in tandem with the resources and videos found at churchcares.com, this handbook brings together top experts from various fields to help pastors and ministry leaders understand and implement the best practices for handling variety of abuse scenarios in churches, schools, or ministries. Though the most comprehensive training is experienced by using this handbook and the videos together, readers who may be unable to access the videos can use this handbook as a stand-alone resource. Contributors include: Rachael Denhollander, Mika Edmondson, Samantha Kilpatrick, Diane Langberg, Chris Moles, Andrea Munford, Karla Siu, Darby Strickland, and Leslie Vernick. Managing Editor: Brad Hambrick. Brad Hambrick serves as the Pastor of Counseling at The Summit Church in Durham, NC. He also serves as Instructor of Biblical Counseling at Southeastern Baptist Theological Seminary, a council member of the Biblical Counseling Coalition. Brads background in pastoral care and creating resources for churches served to shape the educational design for Becoming a Church that Cares Well for the Abused. Rachael Denhollander is an attorney, advocate, and educator who became known internationally as the first woman to file a police report and speak publicly against USA Gymnastics team doctor Larry Nassar, one of the most prolific sexual abusers in recorded history. As a result of her activism, over 250 women came forward as survivors of Nassars abuse, leading to his life imprisonment. Rachael and her husband Jacob live in Louisville, Kentucky with their four young children. Diane Langberg Ph.D. is globally recognized for her 45 years of clinical work with trauma victims. She has trained caregivers on six continents in responding to trauma and to the abuse of power. She has authored several books and directs her own counseling practice in Jenkintown, PA, Diane Langberg, Ph.D. & Associates. Andrea Munford is a lieutenant with the Michigan State University Police Department. Lieutenant Munford was formerly assigned as the Investigative Division Commander and was the departments primary investigator for the MSU PD Special Victims Unit (SVU.) During that time, Lieutenant Munford was the lead investigator for the Larry Nassar case. Lieutenant Munford is currently assigned as the training coordinator for the MSU PD Center for Trauma Informed Investigative Excellence. Mika Edmondson, a native of Nashville, TN, is the pastor of New City Fellowship. He graduated from Calvin Theological Seminary, where he wrote a dissertation on Martin Luther King Jr.s theology of suffering. He is happily married and has two beautiful daughters. Leslie Vernick was a licensed clinical social worker in private practice for over 30 years working with individuals and couples in destructive and abusive relationships. She is the author of 7 books and is currently a national speaker, blogger and relationship coach. Karla Siu is a Licensed Clinical Social Worker with 18+ years of experience serving families and children recovering from trauma. Karla currently provides consultation to the North Carolina Farmworker Health Program and El Futuro, Inc. to implement bilingual video-counseling services in select primary care clinics in rural North Carolina. Formerly, Karla served as an outpatient therapist and El Futuros Clinical Program Director for 11 years. Karla also worked in welfare reform, community mental health, research on biculturalism, and services to domestic violence offenders. In 2009, Karla co-authored an article in the Journal of Family Violence. Darby Strickland MDiv. is an instructor and counselor with the Christian Counseling & Educational Foundation. She teaches Counseling Abusive Marriages, and her writing and speaking focus on training churches to care well for those affected by domestic abuse. Rev. Chris Moles is an ordained minister with the Christian and Missionary Alliance, Senior Pastor of Grace Community Chapel in Eleanor, WV and a Certified Biblical Counselor (ACBC and IABC). Chris is the author of the book, The Heart of Domestic Abuse, Gospel Solutions for Men Who use Violence and Control in the Home. A certified group facilitator in Batterer intervention and prevention Chris has served as a faculty member with the West Virginia Coalition against domestic violence state wide intervention training; B.A. in Bible from Cedarville College; M.A. in Biblical Counseling from Faith Bible Seminary. Samantha Kilpatrick is an attorney with over 20 years experience in the practice of law. She is currently a partner with Kilpatrick Law Group, PLLC in Raleigh, NC. She is a former prosecutor with experience in the areas of domestic violence and sexual assault crimes. Currently in private practice, she represents and counsels survivors of abuse and advises faith-based organizations on abuse prevention, policy and safety. I'm the author/artist and I want to review Becoming a Church that Cares Well for the Abused.